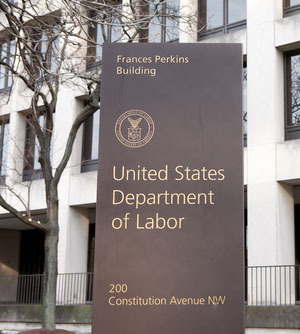 The U.S. Labor Department on Tuesday officially rescinded the Obama administration’s “persuader rule” that would have required lawyers and consultants to report on advice given to employers about persuading employees on union issues. The agency’s announcement noted that the ABA had opposed the rule. “The persuader rule impinged on attorney-client privilege by requiring confidential information to be part of disclosures and was strongly condemned by many stakeholders, including the American Bar Association,” the Labor Department said in a news release. Courthouse News Service and Law360 have coverage. Before the rule was issued in March 2016, there was no mandate to report when lawyers and consultants spoke with employers about opposition to union efforts, as long as they had no direct contact with employees. Under the revision, lawyers and consultants would have to report employer advice that had the object of persuading employees concerning union rights.